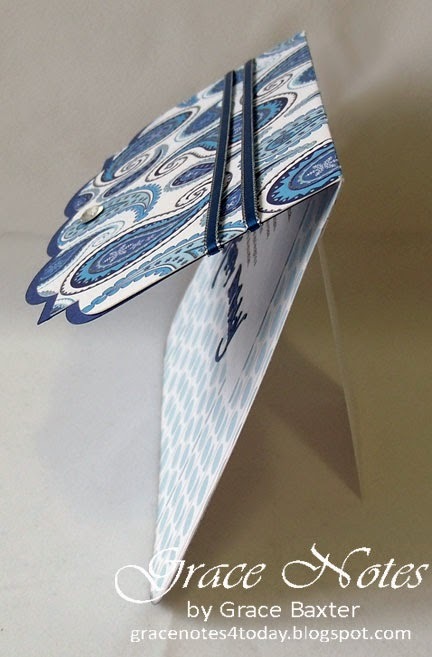 I created this clutch purse card for my daughter who loves purses and has a lovely collection of them. Her first response upon seeing the card? "I would definitely carry a clutch like this!" That makes me smile. I cut the 5"x7" size base without the help of my Cricut and rounded the bottom corners with a punch. However, I created the flap on my Gypsy, with an Elegant Edges shape and sized the piece at 4.15w x 7.0h, rotated 90 degrees. Once I figured out the right sizing the rest was easy. 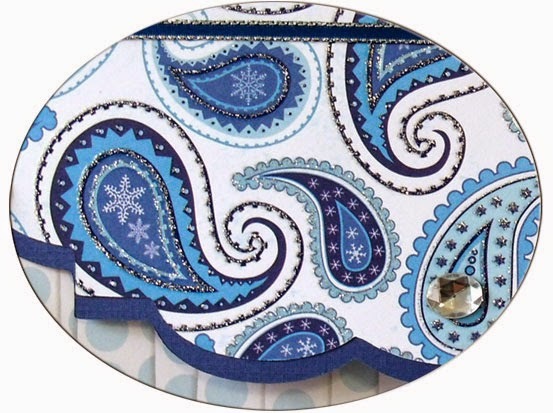 The cardstock for this project is very special; DCWV Winter Stack. The purse flap is cut from fabulous embossed and sparkled cs. The camera doesn't do it justice. If you click on this close-up you'll see the embossing shine. Creating the card didn't take long but the inside definition and poem took some thinking. I love coming up with my own definitions for things, so I couldn't resist composing a "punny" definition for this card. And yes, this IS my own idea. If it shows up elsewhere, they have scrap-lifted it from my blog post. Since I wrote the poem for my daughter, it contains a few "inside expressions" (e.g., use of the word "crane"). 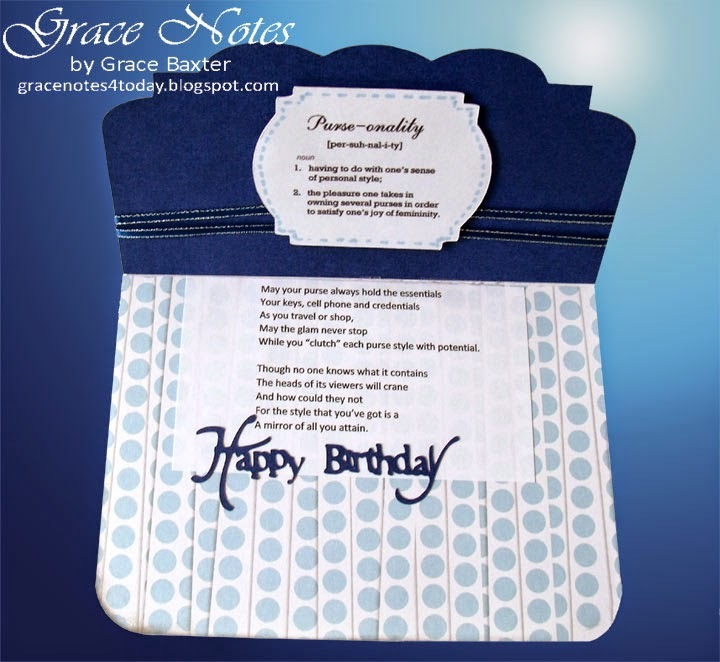 This is the fun part of making my own cards, and the poem produced the desired effect. Smiles all around. The card would not stand on its own so I made an extra piece for the stand. See the profile pic. This was easy. I cut a plain piece of cs 2"x4-1/2" and glued it to the back before adhering the flap over it. 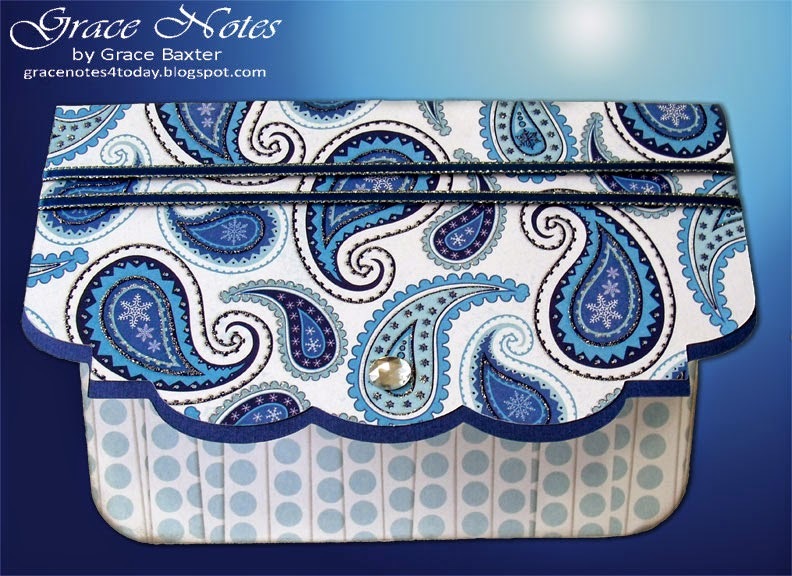 The purse flap extends a half-inch over the back and acts as a hinge for the purse.